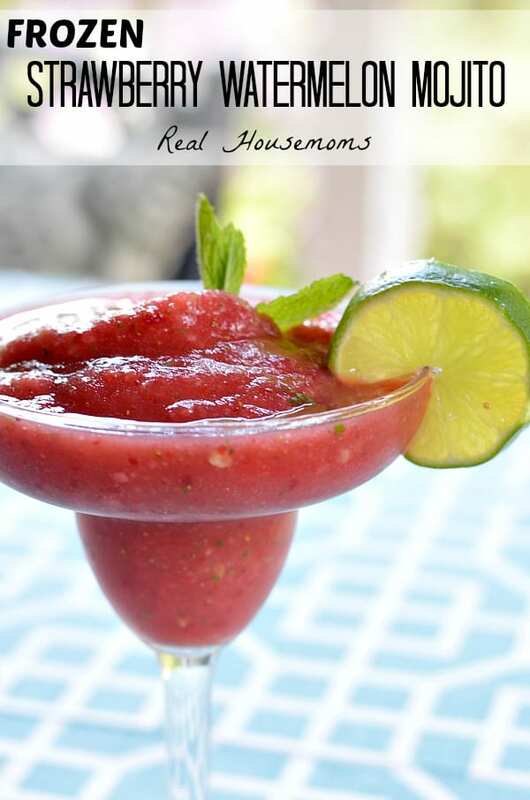 When you serve your friends a Frozen Strawberry Watermelon Mojito you won’t be able to keep them away! This drink is fresh, fruity and refreshing! We had some friends over for Memorial Day. If I’ve told you once I’ve told you guys a million times, I love to serve pitcher drinks when we have friends over. It’s so much fun and it frees me up from mixing drinks all night. Now that the temperatures are warming up it’s time to whip out the blender, frozen fruits and make some tasty cocktails! Memorial Day is like the kick off of Summer and so I had to serve a fruity frozen drink right? When I think of a blended summer cocktail I think of frozen fruit and rum. Mojitos are a fun and refreshing drink with the mint and the rum and I was thinking why not make a blended version. I decided on watermelon and strawberry because I have TONS in the house right now. My kids love to snack on them so we’re fully stocked. They’re both great fruits for freezing also. I cut up my watermelon the day before and froze it overnight, that way I didn’t have to add ice to the drink. It came out so smooth and creamy. If you don’t have time to freeze the watermelon, no worries, just add ice to the drink until you reach the consistency you want. I loved the look and taste of this drink and so did my friends. 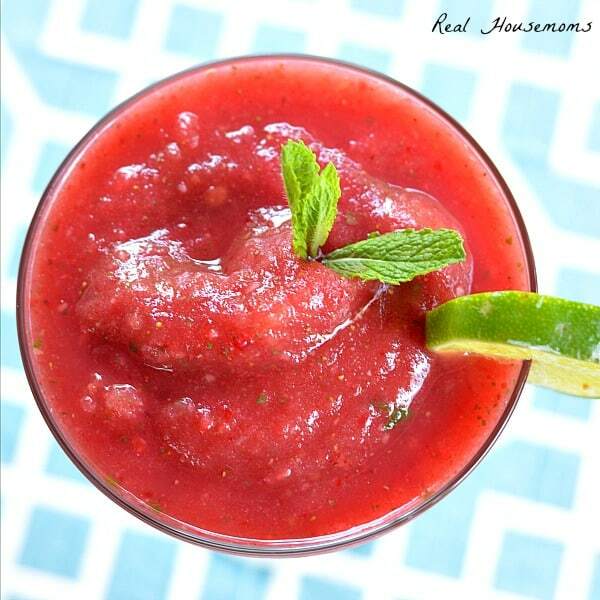 When you serve your friends a Frozen Strawberry Watermelon Mojito you won't be able to keep them away! This drink is fresh, fruity and refreshing! Aubrey, what a fun and refreshing mojito for these hot summer days coming up! Love the watermelon with the strawberry action, pinned!